Freedom Glow Yoga! Hop on the mat for this fierce, focused and fun yoga flow practice! 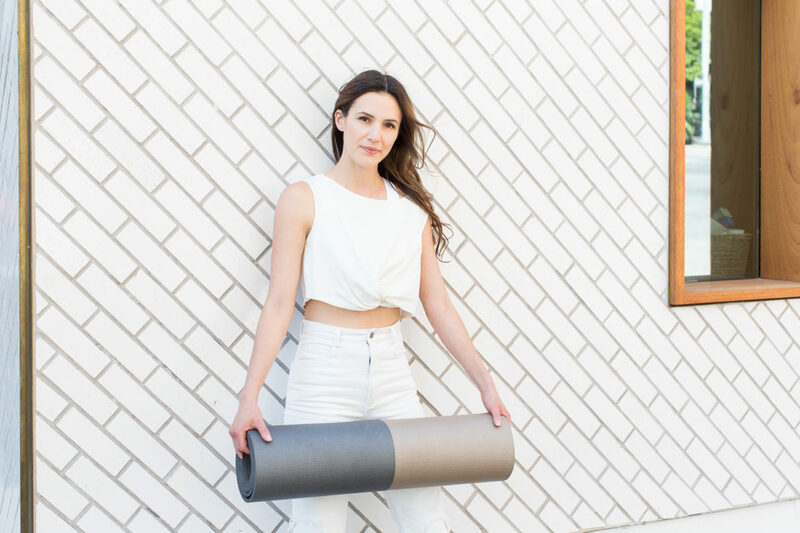 Take this playful and mindful approach to cultivate heat from within, strengthen and tone! Learn this practice and then find freedom within the form as you build confidence, strength and stamina. This sequence is sure to help you feel support from within, leaving you ready to rock and shine. Thank you to Adidas Women for partnering with me on this video! Check out Freedom Glow Yoga here! Today I had a real bad day at work. I found out a student had been telling liesmto my face and I just can’t stand that. Perhaps I shouldn’t, but I felt really hurt. Anyway, for my daily eveningpractice I chose yoga freedom glow. This was really what I needed; something to ‘kick my but’ and balance me out in the same time. Thank you Adriene, for another great video! Namaste! I love this video! It is just perfect to clear the mind and forget the to do list! Most of the time this would really push me, yet today, with Adriene’s calm and positive guidance, I felt at ease and refreshed throughout. I have been following yoga with Adriene videos for about two months and has really changed my life. I believe that I have handled problems and challenges with a more peaceful and calm mind. Thank you so much Adriene! Adriene, my life is a better place because of you. Thank you for everything you are. Hi Adriene, I finished 30 days of Yoga Practice and 30 Days of Yoga Camp this year – 60 times Yoga in 180 days. I truly, truly enjoy it!! For the first time, here is a way of exercising that I am looking forward to, not having to get myself and do it. Thank you very much! All the best from Heidelberg, Germany. I have never felt like someone I’ve never met, is one of my closest friends! You really are amazing, I don’t know how else to describe it. Thank you for sharing your incredible teachings with us all! Thank you! You truly have a gift! Hi Adirene! I have a special request question for an online fitness group I’m part of… is there a way to message that to you? Email? Thanks so much; want to share your vids with a LARGE group of online fitness pals. thank you so much for sharing your yoga teachings. I started and stopped yoga many times but now I am sticking to it, because I love your way of teaching and conducting yoga so much. The area where you took this video looks so beautiful, where is it, somewhere in Asia?. I found you on Youtube a few months ago and i just wanted to thank you for helping me to learn how to begin a yoga practice and start to change my life for the better. I am so grateful for your wonderful sense of humor and your charismatic spirit. It’s life changing girl! Life changing! Thank you so very much! That’s such a yummy & lovely practice! Thanks, Adriene! Looking for the July calendar… Did I miss it? this is my favourite of adriene’s, I love the building up to the movements before the whole routine becomes one. My 5 year old joined in and said he needs longer arms haha!! One thing I love is I can take this anywhere I go if I’m on holidays or at a relatives house I can just turn this on and do some yoga!! Wonderful! My thighs needed this today! Adriene, you are my travel buddy. I am away from home 6 to 8 months a year and do one or two of your videos every day when away. I am 70 and with your gentle guidance feel better than ever. I enjoy your yoga teaching style, your sense of humor, your “sayings” (find what feels good, etc.) and your easy encouragement. Thank you for being yourself. You are truly a lovely human being. Namaste. 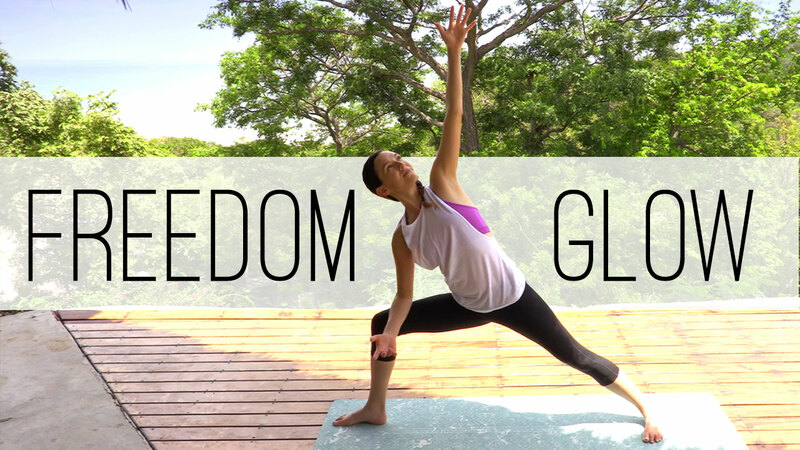 Freedom Glow was my favorite Yoga with Adrienne practice… what happened to it? It’s no longer on YouTube and this link doesn’t work. I agree with Stacy! This was one of my favorite yoga jam videos! Why is it no longer available? Getting back into yoga after a little hiatus, and I absolutely love this video. Strong and mindful practice. I am 61 years old, and I remember a couple years back when I delightfully found Yoga with Adrienne this was one of the first practices I did. It was difficult, as I was just starting on my journey of “finding what feels good”, but I kept going back to it after other practices to see how my body has strengthened. Thank you Adrienne for your amazing practices. The link is fixed now, Kat. Thanks for the heads up!